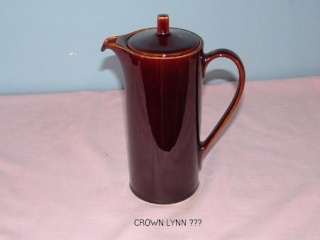 John wants to know if the pot is Crown Lynn or not.. He thinks it would have been used for hot water. There are no markings on it at all.